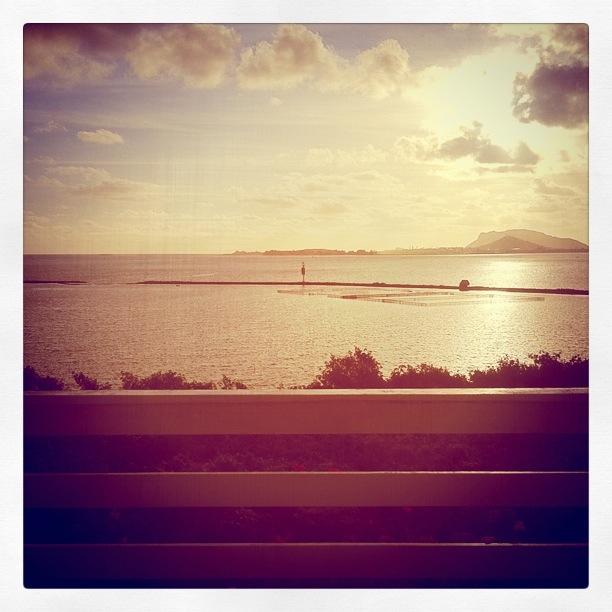 I woke up this morning to a lovely view of Kaneohe Bay, courtesy of my house sitting gig (courtesy of T and J). I have to get up and get productive eventually, but waking up to a view or something out of the norm always makes me appreciate my weekends more, for some reason. (Like the Hau’ula weekend did not too long ago). Hope everybody has had a good weekend – wherever they were! I’m headed back to town soon, and while I won’t wake up to the ocean, I’ll wake up to my own bed, and there’s something to be said for that too!